Custom designed to tell the story of your wedding day. Each page sharing a chapter in your story while it’s woven together to share the entire wedding day. 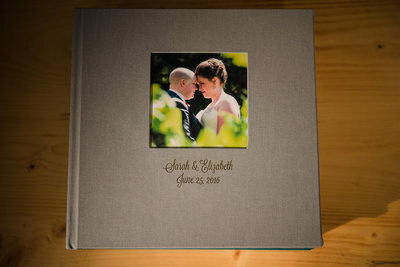 If you want to relive your wedding day in entirety or just sneak a peek at a moment while passing by, your wedding album is how you keep the memory of such an amazing day strong. Yahoo! You've made it through the wedding! It is over and now a day of awesome memories you don't want to lose, so let's make sure those memories don't fade, and you get the album of your dreams. how does the album get designed? 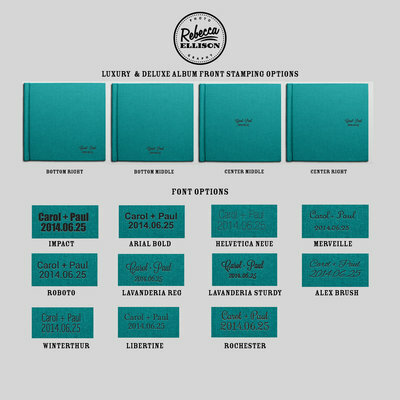 What are the cover options? From the first moment of your wedding day, I am looking at how the day is playing out and planning in my head not only how to capture it all so you remember every moment, but also how it will work being told in a visual story via your album. So, while you get the 800+ images digitally, the wedding will be remembered most vividly from the 120-150 images in your album. I design each album thinking of each spread as a chapter telling it's own part of the story, so it's common for spreads to have only 2 or 3 images on it, as we tell the story with the most impact and not the most images. Each wedding is unique, and so each album is also unique. 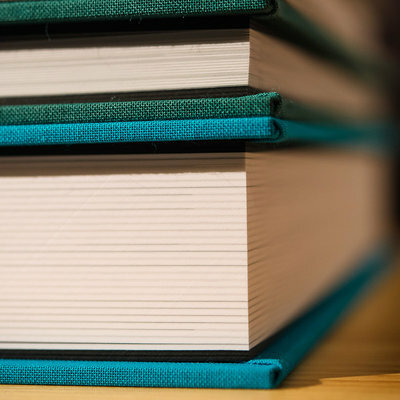 It's common to have 120-150 images in an album. One of the biggest hurtles that arrises when starting your wedding album design is the actual picking of the images. The majority of wedding albums designed in our studio have an average of 100-130 images to tell the entire wedding day story. But narrowing down from the 900 or so images you have to just 130 can be daunting, that is why most clients have me choose the initial images, and then you make tweaks afterwards. 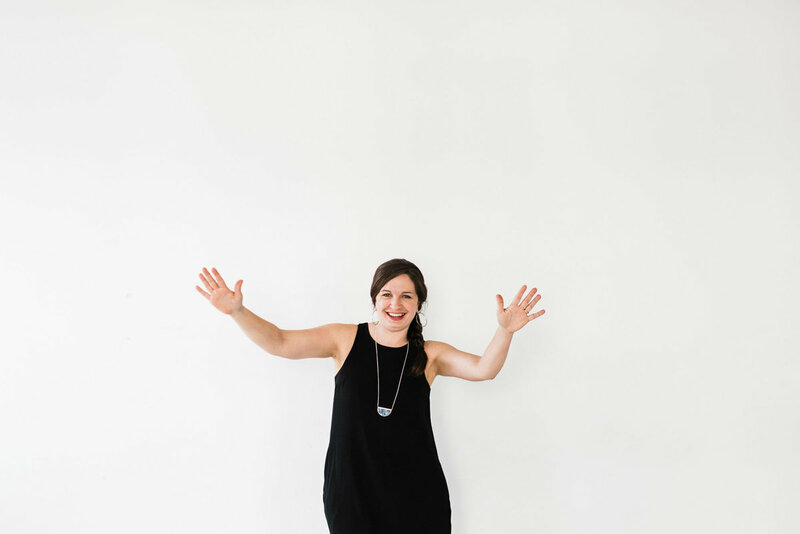 But if you are a hands on type of bride, you can start from scratch. All albums designs include 2 rounds of edits included in the initial design so rest assured, whether you choose your images then want some changes or have us design, you'll have the ability to tweak and customize after you've seen the design!. How are the images chosen? I go through your wedding day thinking about the story I am conveying through images. Already considering the album as I am shooting, so I have a plan for your wedding album design from the first day. Most love having me layout the first version of the album and then make tweaks afterwards. 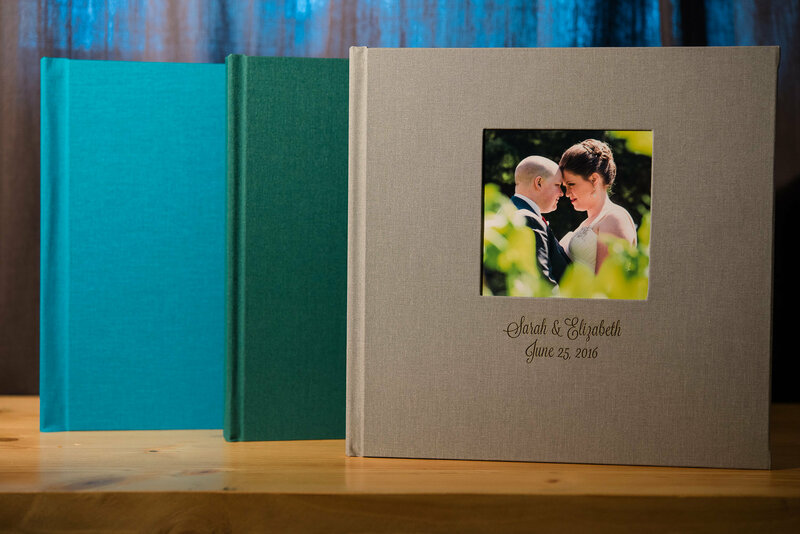 View a designed wedding album to get an idea of what your design could look like. 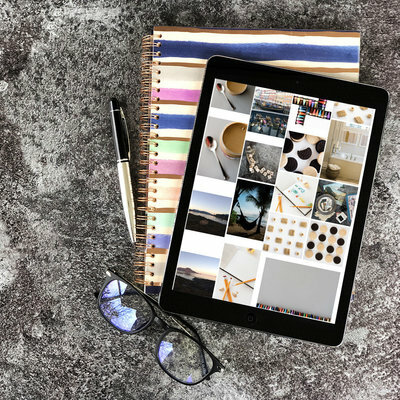 If you like to plan it all out, you can choose to start from scratch and choose the images you love to be in the album. We suggest to choose your favorite images and we will pick 15% more images to fill in the story. Here's the important question you are wondering. Just how quickly will this beautiful album be in your hands? The album process usually takes 2-3 months before your album is in your hands when quick responses are given. Timing depends on a couple of factors, such as time of year (during wedding season, albums take longer as the studio is very busy with current weddings being photographed), how long you take to make your design choices, how long it takes for retouching and the physical creation of the album. When you start the process I give an estimated time frame specific to you. The final delivery date does depend on your responsiveness in design input and changes. I've had albums take 2 months from start to finish, and I've had them take 1.5 years! If you are interested in holiday delivery of albums, the process must begin by September 1, and final approval must be given by November 1 because of the holiday delivery timelines given by my printing company. *If you choose for us to design the album, you will still get final approval and we go through 2 rounds of design edits included in the album cost. If you choose your own images, please use the heart feature in the gallery to make your choices. I will add an additional 10-15% of images to help make the story cohesive for your design. Great! So am I! Please submit this form with your preferences. Keep in mind, things can be changed if you change your mind down the road, this just gets us started! 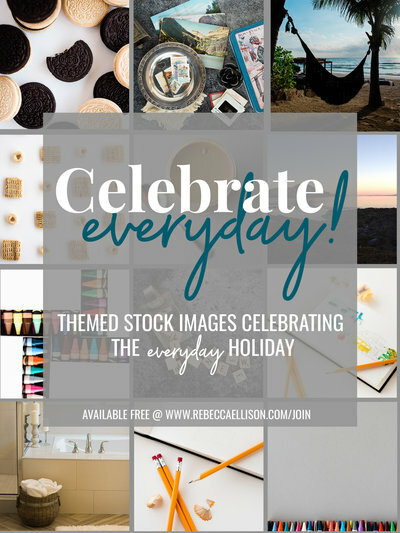 Celebrate the everyday holiday with these monthly free stock packs themed to make posting about each holiday effortless.